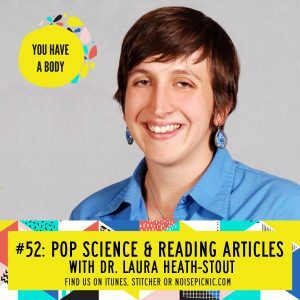 This week, Lucia and Hannah interview Laura Heath-Stout, an archaeologist studying at Boston University. They get the down-low on what to look for in scholarly articles of any sort with Laura’s helpful hints. If you’re prone to swaying towards whatever the latest Buzzfeed articles spouts about claims they’re pulling from random articles–now is your chance to empower yourself by understanding how to read a scholarly article–yourself! Dr Heath-Stout’s research focuses on how archaeological knowledge is affected by the identities of researchers. She has worked on archaeological digs in the U.S., Mexico, Belize, Ecuador, and Spain. She also works as an editorial assistant at the Journal of Field Archaeology, an academic journal published by the Boston University Department of Archaeology.